Jessica is an associate lawyer with Shulman Law Firm. 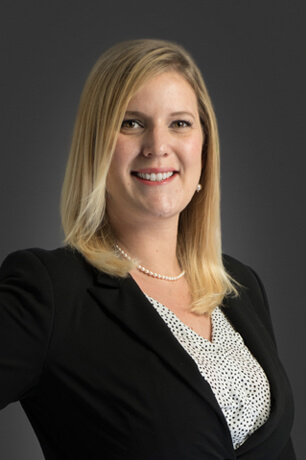 Jessica has been practicing exclusively in Family Law since she was called to the Ontario Bar in 2011. She completed her undergraduate degree at the University of Guelph where she received her Honors Bachelor of Arts in Psychology with a minor in History. She obtained her law degree (J.D) from the University of Windsor. Jessica’s demonstrated ability for mediating and resolving conflict is complimented by her progressive leadership qualities. She sincerely enjoys working in Family Law because she is able to make an immediate difference in her clients’ lives. Jessica is currently on the Board of Directors for The Donkey Sanctuary of Canada.